I have participated in a quilt-a-long before, but not one for a quilt as cute as this one! I may add a few solids to my quilt as well. I’ve made one of my first quilts ever in a quilt-along. I learned so much and 8 years later I still love to take part in online classes and quilt-alongs! I’m a huge Jennifer Kingwell fan, working on some of her quilts already, so I purchased the Quiltmania Spring Issue (was lucky enough to find a copy at my LQS). I have never participated in a quilt along but what a good way to be encouraged to keep working when a tough spot comes. I have been in a quilt along before, have never been able to keep up! I become distracted by the other 100 or so projects I want to complete. I do finish the quilt later, though! I have participated in quilt-alongs before and they are great fun. I'm like you, always late to the party. I stopped at Barnes and Noble last week and picked up the magazine because I was in love with it. I need to pick up some low volume fabrics for the top and would love to make it bigger. I've got the magazine, reviewed the pattern & am excited to start! I'm hoping to shop my stash for this project, but could always use a liitle extra! I've "participated" in a few QAL, but I usually fall behind or flake out or leave an unfinished top sitting in my pile of WIP's. This is the one! I can feel it. My "have to" sewing/quilting is done for the month, so no excuses!! I haven't officially done a QAL. I have thought about doing one but never jumped in in. This one really is amazing and I'm excited to do it along with so many others. Thanks for the chance to add a little to my stash! Happy quilting. I've never joined a quiltalong... but it sure looks like it would be fun!!! This one with My Small World looks awesome too!! Jen Kingwell is a new obsession of mine! I love everything she creates... so please count me in on this fun little quilt along! I have participated in quilt-alongs before. I enjoy the camaraderie and that it helps me stay focused! I've arranged a QAL with Jen's pattern "The Circle Game." We are not online, but enlisted a local quilt shop to let us meet there. It's so fun to meet with other quilters. I joined crazymomquilts first qal many years ago, I found it at Block nr nine of twelve, so I made nine Blocks one week end, and did the rest pretty quick. I've taken part in a few sew alongs, not all successfully though! Love this pattern and so excited when I found it at my local B&N this morning so I can jump in right away! Time to let the scraps come out to play! This is my first, I have always been very wary as I think I'll struggle with the deadlines.....but it is such a special quilt I couldn't resist and broke my rule! I'm no stranger to QALs and have been doing them for years. I finish most eventually. 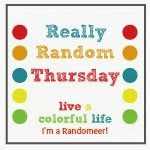 For me, it's more about seeing other's fabric selections and modifications that really inspire my quilting adventures! Jen Kingwell is definitely inspiring! This will be my first QAL. I have done KAL and CAL. Look forward to the advice on this one! Oh yes, I've done plenty of QAL, my first was when I met Leanne of She Can Quilt! It was hosted by Lily's Quilts. I'm in on the QAL. My problem is keeping going until the end. I am good at starting but slow in finishing! I did the Mini Medallion quilt along last year. It's what forced me to join Instagram. I had resisted up until then, but just had to see what everyone else was doing, and everyone was posting photos to Instagram. Now I can't live without it. I'm really looking forward to this quilt along. Only 2 more days until our magazines arrive in NZ. We went to the shop to ask about them again yesterday. I'm looking forward to the tips you and the others post. I got to see this quilt in person at quilt market. I might have to join in too, if I can find the magazine. I am new to quilting. I have not done a QAL yet, but I have completed a mystery quilt. It was such fun. On my way to Barnes and Noble to see if the have the magazine. Will give it a try. Sounds like fun to me. Thanks for the opportunity to win minis. I adore quilt a longs....fun to see different perspectives, tip and tricks. So fun!! I have not dona a quilt along before, but think it would be fun. 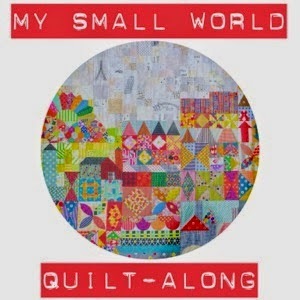 Love your small world quilt. Well I did leave a comment but I don't see it so maybe this will be a double, yes I am in, all in!!! I've done a few QALs but I haven't always finished in time. I've got my book for this one, but I'm waiting for school to finish. I have done a quilt along, and am in about 3 right now. Keeping up on one, this one hasn't started so I'm not behind yet, and I'm behind on the other one. You know what that one is. LOL. I'm excited for this. I realized I have so few low volume fabrics that I won't be able to make the background...so I HAD to go online and order some low volumes. Dang! haha. Hugs, Cindy! Thanks for hosting this! This is my second quilt-along. The first one is with my quilt guild. I reall love this pattern. I've already finished the top portion of part one. I am participating and love her patterns!! This will actually be the third one that I have participated in. This is a very unique quilt. Love all the different blocks in it. Yes, I have participated in QALs before...however not recently. I may have to consider joining this one! I have followed a few QAL,s but am always out of sync so they do not count. As this starts on my birthday I feel that I should participate. I've never followed a QAL before but I'm looking forward to joining in! Thank you for the giveaway. I don't think I have ever joined a QAL! I was very late to the Farmer's Wife one, from memory! But I always put my hand up when new fabric is on offer, especially Gardenvale, named after the suburb where Amitie is! I don't think I've ever joined a QAL where I start it when everyone else does. I really like Jen Kingwell's designs and would love to do this but I need to find the magazine to see more about it. I like those mini packs. I have and I really enjoy all the learning steps along the way. It is fun to see what fabrics others use and to have support along the way. Thanks,must go get the magazine now. This would be my first QAL and I think that even though it is a bit advanced for me I am confident that with the help of this community in the end I will have a quilt that I can be proud of! 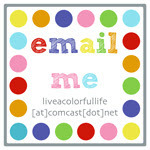 I have done a few quilt alongs on several online groups. It is so much fun. This one looks like a ball. I did the second "scrap vomit" qal with Katy @ I'm a Ginger Monkey. Love my quilt so much! Otherwise I'm usually too slow a sewer/don't have enough time to sew to keep up with the others. Have fun with this one! I joined in the hexalong with Lynne and Gayle in 2011 and I'm almost finished the quilt! I am in the same boat, as I usually start QALs long after they are under way or even finished. This doesn't stop me though, I love seeing what everyone else chose as colors and prints for their quilts. I have only done one quilt along and it was for Lori Holt's book called Quilty Fun. It was a lot of fun and seeing everyone's progress really inspired e to keep going. Hi. I have never done a quilt along before. I have wanted to do a Jen Kingwell quilt and this might keep me on track. I just ordered the magazine! I have done a QAL before but also not good at getting it done as we go along. I love these houses though, so I'm giving it a go! I've never done a QAL before, I'm waiting for nap to end so I can go hunt down this pattern, its too cute. Thanks for the chance! This is my first QAL! I've done quilt-alongside with my mini group, but never online. I never seem to find quiltalongs in time to start with everyone else! I'm hoping to get a copy of the magazine soon and join in! I have participated in a quilt a long before, but I'm not sure I've actually finished one...I hope this will be different! I have, but like you, usually late!